I realize that 25% would be a failing grade. I realize that 25% of a dollar can’t buy much. I realize 25% generally isn’t a lot of anything. …But today, Jenn is 25% of 18 years old and it feels like such a big number. It’s big and important because soon enough she’ll be too big for me. Soon enough she will be in school. Soon enough she won’t have the time or space to give. She’s well on her way to driving and in the blink of an eye, she’ll be in college. Parents, even if you only celebrate one of your child’s half birthdays, this is the one to remember. You see, at 4.5, I made it through the toddler years, the baby days, and the endless nights where I was needed 100% of the time. At age four and half, she’s not in school yet or nearly as influenced by her peers, but no one could possibly think she was a baby. The time she hits nine, she won’t need me anymore and probably won’t freely offer up hugs and kisses like they’re the best gift in the world. It’s true, by the time she hits nine, she won’t really need me anymore. Not like she does now. I won’t be right by her side for every big and small victory. Year nine will come and go, and then the teen years. But these… these are the precious, joyous, innocent moments. They’re the times I can talk with her and share in her excitement over even what I would consider the most trivial parts of her day. I can reason with her and understand her hopes and dreams as well as her nightmares. She’s in the beautiful place in between where she can help me as much as I can help her. At nine she’ll probably roll her eyes. At 13.5, I could be at the bottom of her list of priorities, and at 18, she’ll already be a young adult. So today we choose to celebrate…to make a big deal out of at least one half birthday that means more than just any other calendar day. When they turn 4.5, this is the only chance to celebrate this fleeting milestone. We are not half birthday kind of people. Not in the slightest. But this year we were. 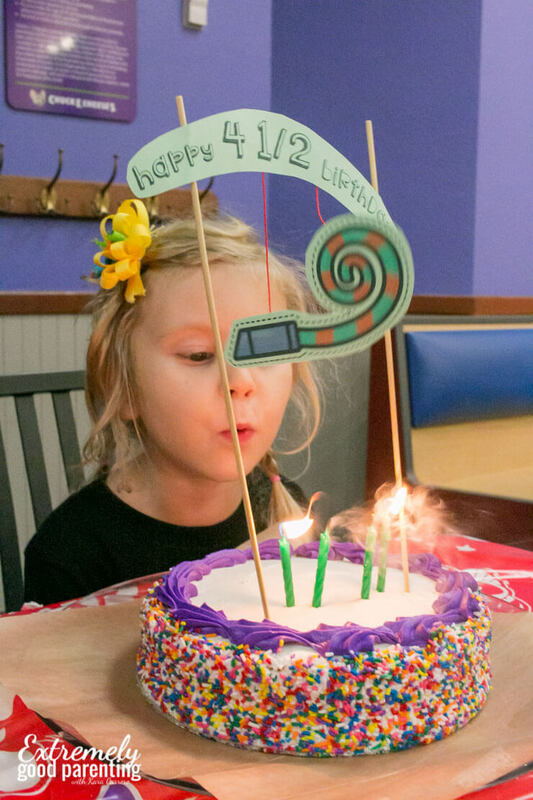 Instead of shrugging off a chance to share moments of excitement or skip a memory, we sat down at the computer to book a VIP birthday party at Chuck E. Cheese’s because they invited us to bring our friends and host us and of course, for a big birthday celebration, that’s every kid’s top pick. 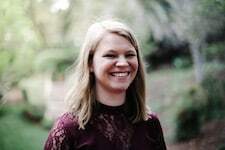 Jenn made a list of her 16 closest friends, including her baby sister Emma, and after booking, Chuck E. Cheese’s sent out a personalized email invitation to each of them. We talked about how she was “25% adult” and how big kids had to make decisions. So we discussed whether she would like to reserve the whole place one weekend morning to have a party before it even opened of if snagging her “Party Like a Rockstar” theme would be better suited for unlimited play Wednesdays. 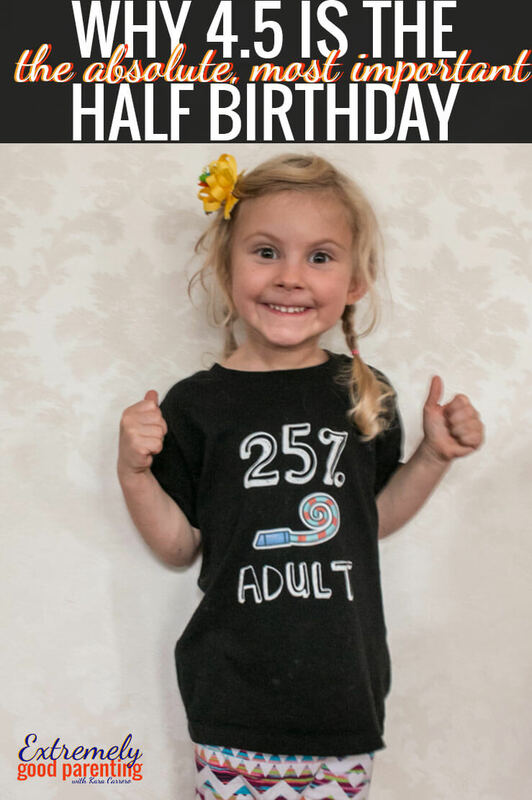 Armed with her own half birthday shirt, we showed up with just ourselves and our friends (except for an added sign I put on the cake because I couldn’t help myself), but walked out with with a train whistle, tickets galore, and several color photos of our family and friends. 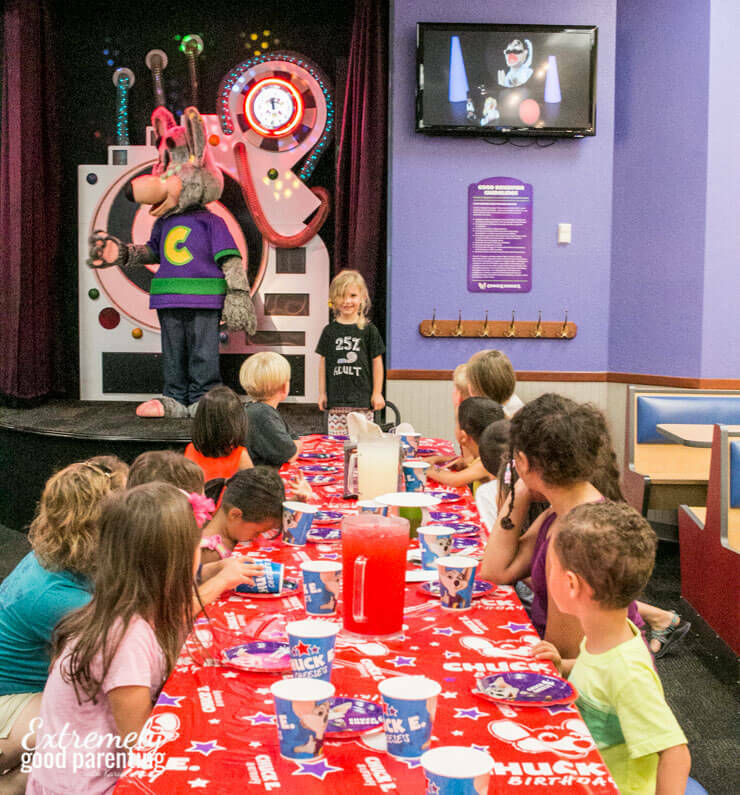 While there, our Chuck E. Cheese’s host served up the pizzas and drinks that came with the Eat More Play More birthday package for bigger kids, and brought out our extra platters for the parents. While we waited, each child got their own play cards to enjoy games and collect tickets. Jenn was able to soak up every moment of excitement and make special memories that only childhood (and maybe parenthood) have to offer. When they turn 4.5, this is the only chance to celebrate this fleeting milestone. How will you celebrate? While Chuck E. Cheese’s literally did all the work for us, if you wish to grab your free download of the cake topper seen in my photos to use, simply subscribe below and you will get the free download plus weekly updates. The download is about 90% the same, but real life is I got so excited to have the birthday I forgot to save my file! 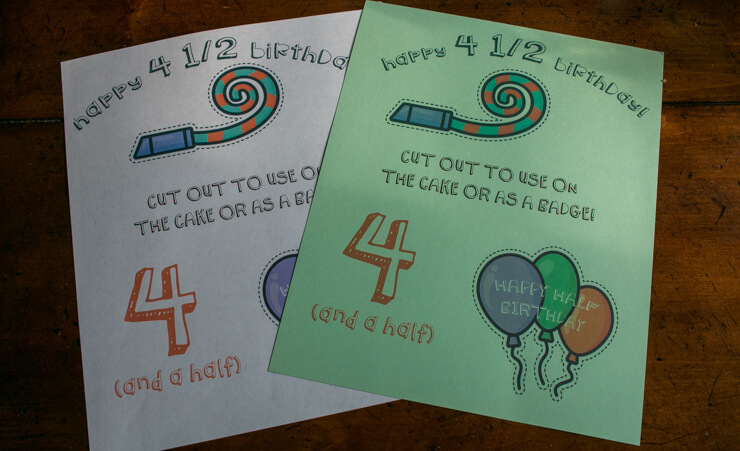 Yes, please send me the free half birthday decorations! 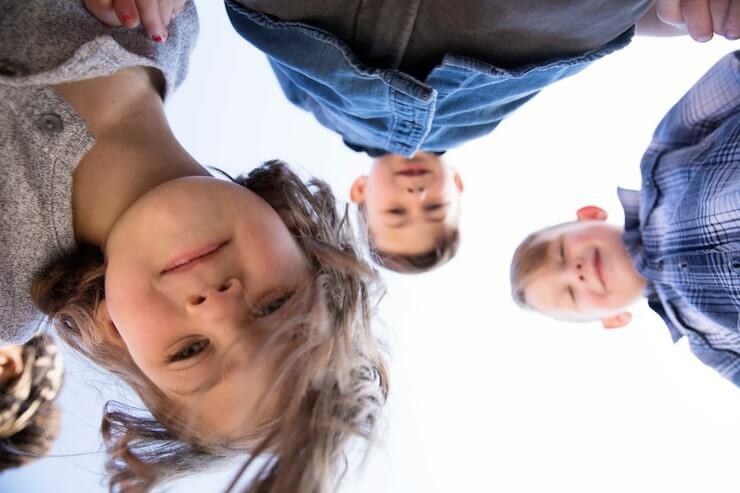 Previous Post: « How to help kids foster meaningful friendships: don’t just be good, DO good.